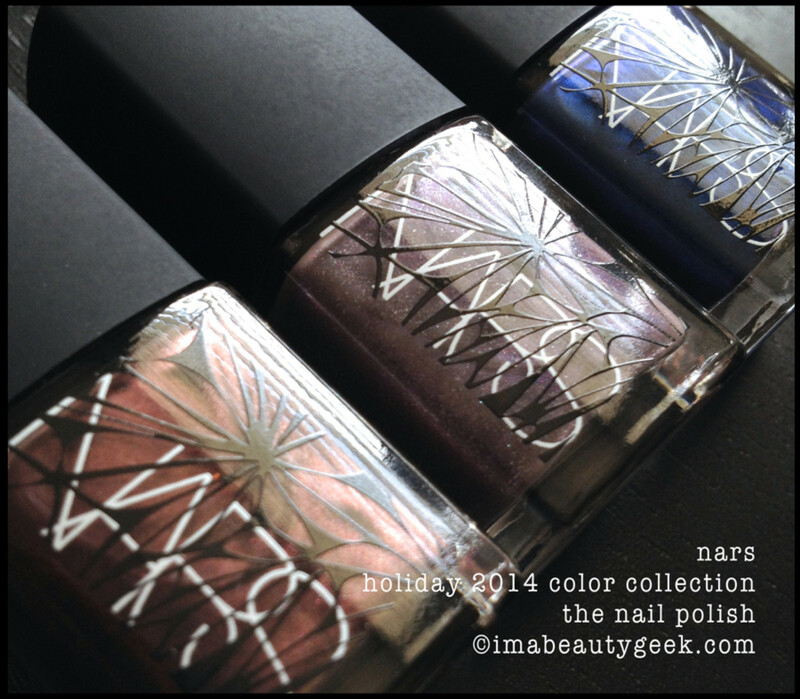 NARS holiday 2014 ’n me go together like nails ’n polish. Weird, right? But you know what’s different this time? The bottles. Ooooh… the bottles. The shades -- Algonquin, Sherwood and Barents Sea -- came with their own surprises too. Something happened in recent years: holiday offerings became all about the glitter. I end up with glitter stuck in places that we won’t talk about. Thank jeebz for Nars. This collection is such a refreshing break that I’m almost giddy. 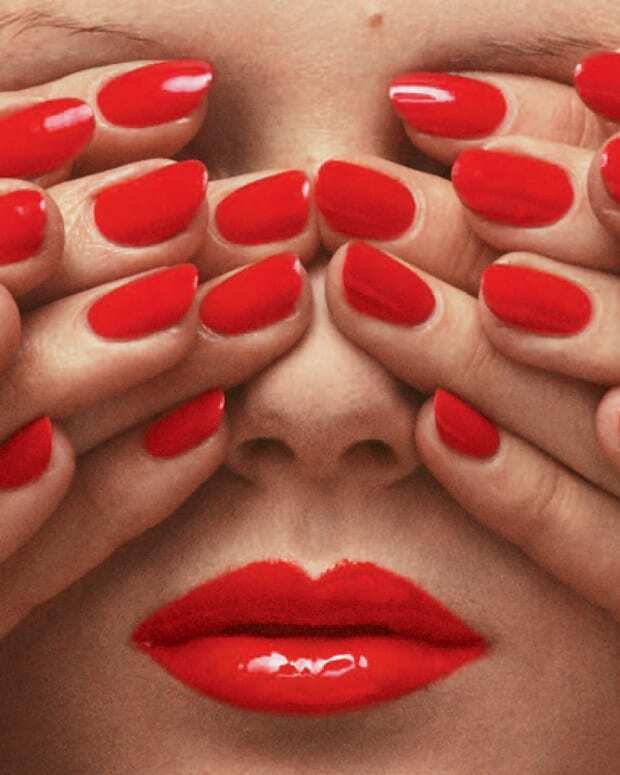 above: nars holiday 2014 color collection Algonquin. She’s lovely, isn’t she? At first glance I thought she was a duochrome but I was pleasantly surprised to find she’s not. She’s flecky – bright silvery blue flecks give it a subtle sparkle. above: nars holiday 2014 algonquin. What you’re lookin’ at there is the stunning bottle and also three coats of polish. Yep, three. I don’t like to do three coats but this one demands it otherwise you’ll still have visible nail lines. The formula is almost gloopy but not – it’s just a little thicker than I’m used to working with, so having to do the third coat was a bit of a surprise. The finish isn’t crazy glossy either. I’ve shown it to you without topcoat so you can see. It’s wicked pretty, right? above: nars sherwood. Two coats. That’s what you see there. No top coat either. This one is shiny and shimmery and surprisingly more complicated on the nail than it shows in the bottle. There’s a depth of color you can’t see from the outside. It’s like it’s lit from underneath. I think it’s splendid in all its mauvey-coppery-eggplantness. above: nars holiday 2014 barents sea: I do love a good blue and the surprise with this here shade is it dries to an almost satin matte. But it’s shimmery so it doesn’t look quite so flat. I think perhaps top coat would be your very good friend here. 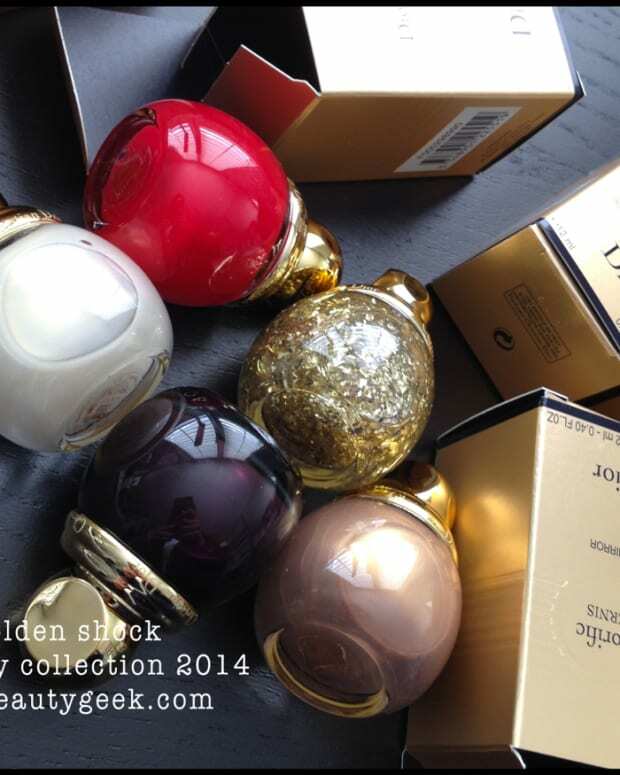 It’ll pop the metallic shimmer and make your nails a little more holiday. above: nars barents sea mattified. If you’re me, you have a bottle of your current favourite matte top coat sitting right there on your desk (it’s L’Oreal Paris Color Riche Matte). Good things happen when I’m too lazy to put my stuff away. Very good things indeed. And that’s it for Nars holiday 2014. A lovely little collection of pretty. Oh! I didn’t mention the brush but I probably should. For me, it’s genius. Three strokes of polish to complete coverage – but I have a decent sized nail bed. I showed the brush to you here when we talked about the great re-formulation that Nars had undertaken. These bottle all have the pop-off cap too. I’m adding them all to The Archive. With those brushes and these shades, how could I not? The NARS Holiday 2014 Color Collection nail polishes are available at sephora.ca and sephora.com and nordstrom.com as of November 1.